World leaders and politicians are meeting at the most powerful pro-Israel group, AIPAC convention in Washington, DC. RT’s Dan Cohen reports live from the conference. Democrats are clinging onto the Russiagate narrative, even after the Mueller report showed no evidence of US President Donald Trump colluding with Russia. Investigative journalist Ben Swann discusses with RT America’s Manila Chan why the mainstream media is in an outcry. Reports of over 100 Russian troops have allegedly landed in Venezuela’s national airport with equipment, in lieu of the US continuing to push for the ouster of Venezuelan President Nicolas Maduro. RT’s Rachel Blevins has more. Hundreds of thousands of anti-Brexit demonstrators took to the streets in London to call for UK PM Theresa May’s resignation. 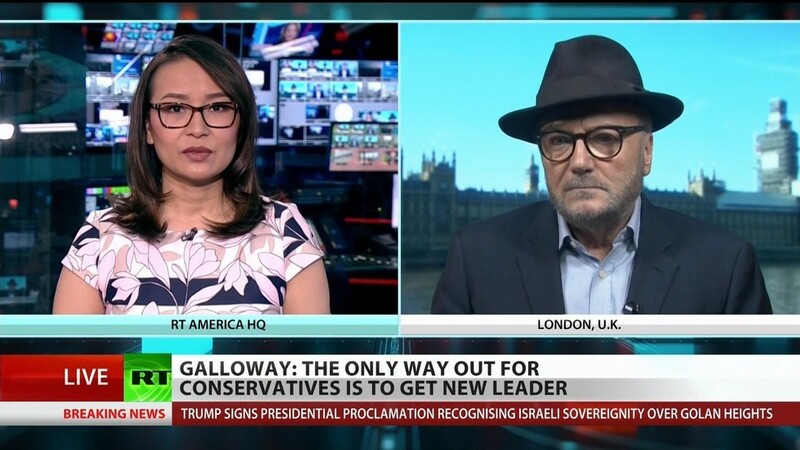 Former MP George Galloway discusses the Brexit latest and more with RT America’s Manila Chan.